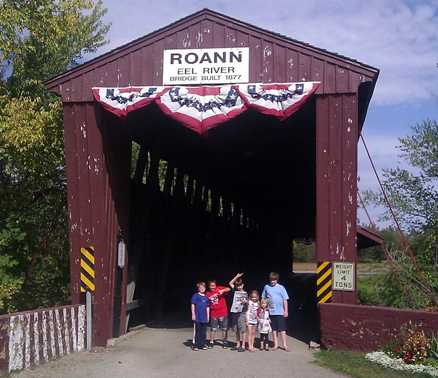 Jack and Annelise Peterson traveled to Roann, Indiana for their cousin’s wedding. They are pictured here at the Roann Covered Bridge with cousins Evan, Kaytlynn, Caeden, and Keon. 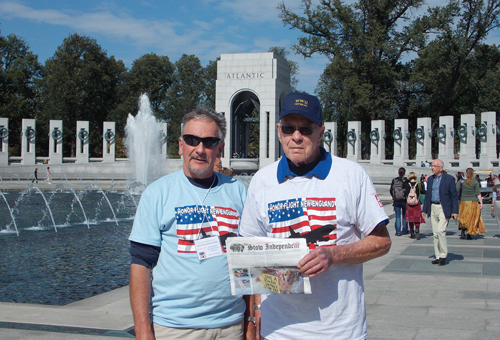 Jeff Smith (l) and his father, Dave Smith, at the WWII Memorial in Washington, DC, as part of the Honor Flight New England program, to honor WWII veterans with a trip to Washington to view the monuments.